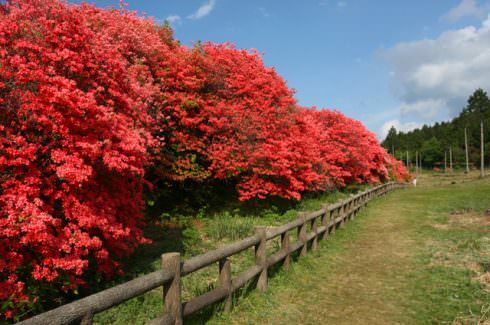 This park has some 1,200 huge azalea trees that are 300 years of age. At full bloom the entire mountain is ablaze in red. From the observation point the ridge of the Shikoku range is in splendid view.